Thomas was born September 9, 1808, to Dr. John and Eleanor Dunbar Creigh the seventh child in a family that would have six sons and four daughters. His paternal ancestors were Protestant Germans who fled their home in the seventeenth century to live in Scotland and then several years later they emigrated to Ireland and settled in County Antrim. Both Thomas’s great-great and great grandfathers were ruling elders in the local Presbyterian Church. John Creigh, Thomas’s grandfather, emigrated from Ireland to Carlisle, Pennsylvania in 1761. John was a lieutenant colonel fighting for independence during the Revolutionary War, then after the war he was an associate judge of Cumberland County and a ruling elder in First Presbyterian Church. Thomas’s father, John, was born in 1773, graduated Dickinson College, 1792, and completed his studies in medicine at the University of Pennsylvania, 1795. As a young physician he worked for a short time in Pittsburgh and Lewistown but then set up practice in Landisburg. When Dr. Creigh realized he could not obtain the education he desired for his children in Landisburg, he moved the household and his practice to Carlisle in 1819. Thomas was prepared for college first as a student taught by Master Henry Wales for three years before entering the preparatory school of Dickinson College in Carlisle. He entered the freshman class and graduated in 1828 a member of a class totaling twenty-one which included eight men that entered the ministry. During his senior year he came to faith in Christ and united with First Church. At or near the time of his profession of faith he believed God had called him to the ministry and began divinity education. 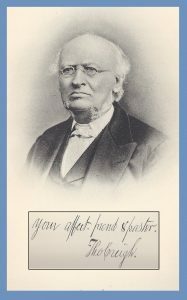 As was often the custom, even with the Presbyterian Church having opened seminaries for theological education, Thomas began studying Hebrew and New Testament Greek in the fall of 1828 under the tutelage of his pastor George Duffield. While he studied theology at home he was taken under care of the Presbytery of Carlisle as a candidate for the ministry. The winter of 1829 and 1830 was spent studying in Princeton Seminary, then he returned home to complete an additional year of studies. Creigh believed that educating ministers was similar to the training of lawyers and physicians in that the student “is brought in constant contact with the everyday practical things of the profession which he has selected for his life work and for which he is preparing.” Throughout his life Creigh thought candidates obtained the best education for ministry through pastoral tutoring even though he recognized the shortcomings of the method; those aspects he thought shortcomings were not available in the sources consulted. Candidate Creigh was examined for licensure by the Presbytery of Carlisle during its meeting in Newville, passed all of his trials, and then on the next day, April 12. 1831, he was licensed to preach the gospel. 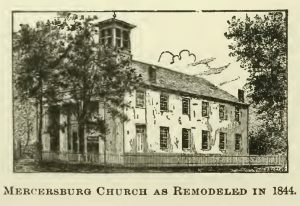 Soon after licensure, Creigh was appointed to supply the Upper West Conococheague Church, Mercersburg, Pennsylvania, which was vacant because David Elliott had changed call to Washington, Pennsylvania. Young Creigh’s hopes for a peaceful and fruitful ministry must have been enhanced by the tenures of his immediate predecessor, David Elliott, 1817-1829, and the quite lengthy call of Elliott’s predecessor, John King, 1769-1811. Because of his preaching and pastoral gifts, the congregants believed Creigh to be a suitable candidate for their church and issued a call which he accepted under two conditions. That baptism should not be administered to children unless one or both of the parents were communing members of the church. For those unfamiliar with some of the issues of American church history, Creigh’s first condition must seem unusual. In current confessional, Bible believing, covenant holding Presbyterian and Reformed denominations, it is required that at least one parent be a communing church member for covenantal baptism of children. But this was not the case in some churches in Creigh’s day. The issue he had in mind in his first condition had its ancestry in the Half-Way Covenant which was developed by New England Congregationalism in the seventeenth century. It allowed baptized parents attending church who had not professed their faith in Christ to have their children baptized. 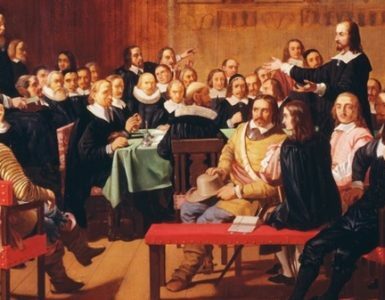 The Half-Way Covenant was a product of another aspect of New England theology, Preparationism, which was the belief that one has to be prepared to embrace the gospel. Preparationism does not mean one has to work enough, but rather one must be empty enough. The line between work and empty is surely a fuzzy one and was often crossed, but Preparationism believed that for one to embrace the gospel there must be no reliance on personal strength nor resolve; the candidate for believing the gospel had to be spiritually empty, emaciated, and exasperated to exercise faith. Preparationism, as one might think, led to individuals asking themselves, “Am I ready to believe?,” and it obscured the simplicity of the gospel’s message to believe on the Lord Jesus Christ and be saved. So, many baptized parents, sadly, matured wondering if they were prepared and sufficiently emptied to profess faith in Christ. These individuals would continue attending church, listening to sermons, and enjoying all the privileges of having professed Christ but were excluded from congregational voting and the Lord’s Supper. Preparationism did not come out of nowhere but was a result of undue interest in introspection. Assessing one’s growth in sanctification and finding areas of both praise and reform is a good thing, but introspection should not blind one’s eyes to the light of God’s grace. Excessive introspection begat Preparationism, and then Preparationism begat the Half-Way Covenant. 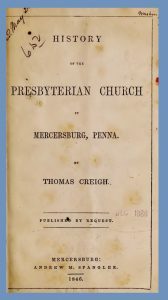 What Thomas Creigh required of the Mercersburg congregation concerning baptism was a good thing and it may indicate there was not only a problem in Mercersburg but also in other areas of the Presbytery of Carlisle. Excessive introspection, Preparationism, and the Half-Way Covenant, even though they likely came about because of a sincere desire for personal peace and Christian piety instead made profession of faith in Christ and its accompanying assurance of salvation elusive. Moving on to Thomas Creigh’s second condition for accepting the Mercersburg call. That he was to have a vacation of one month in each year. There is no explanation needed for this condition and it may show that one-month vacations, common in some denominations, have been around for a good bit. The Mercersburg church agreed to the two conditions that Creigh presented, so he accepted the call. The ordination and installation service took place November 17, 1831 with John McKnight preaching the sermon, and Henry R Wilson and Robert Kennedy leading other parts of the service. Rev. Creigh commenced his ministry and continued faithful for nearly forty-nine years and surely would have made the half-century mark if the Lord had not taken him home. When he started in Mercersburg there were two hundred and fifty communicant members constituting roughly one hundred and twenty families. During his ministry the church received 744 new Christians on profession of faith and 293 by certificate of transfer for a total of 1117. He administered baptism to 844 children and 167 adults. Statistics do not a minister make, but they indicate somewhat his ability and pastoral oversight. His ministry as a churchman extended beyond the Mercersburg congregation to the Presbytery of Carlisle where he was often included among those installing and ordaining ministers. 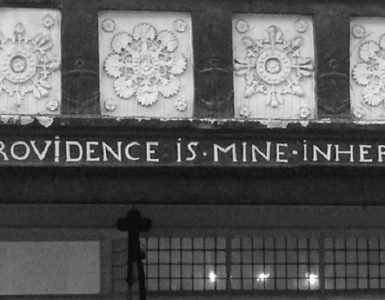 In his last days of pastoral work as his health declined, he wrote in his diary. My shortness of breath continues and increases. It may bring about the end suddenly. May I be prepared for the issue, be it long or short, sudden, or protracted. All my springs are in Thee, O God, into thy hands I commend my spirit. Pastor Creigh died on Wednesday night April 21, 1880 of what was diagnosed as congestion of the lungs, possibly pneumonia. Just the day before he died, he had performed pastoral duties as usual. Creigh served the Mercersburg Church from November 17, 1831 to April 21, 1880. The church interior was draped in black for mourning when it was packed with the bereaved. Pastor of the Newville Church, Robert McCachran, provided the invocation. McCachran was the senior member of the Presbytery of Carlisle and had tutored several candidates for the ministry in theology and had prepared T. V. Moore for college. Several other members of presbytery contributed to the service including Conway P. Wing, while others represented different denominations such as Rev. Andrew J. Hesson of the Lutheran Church and Isaac J. Brown from the Mercersburg Reformed Church. 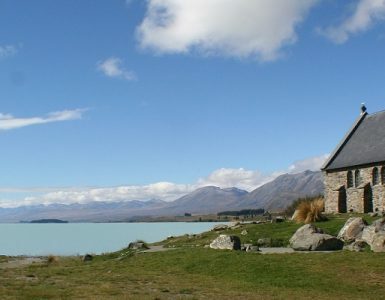 After the service, Pastor Creigh was buried in the local cemetery atop a verdant hill with the mountains for a backdrop. Rev. Thomas Creigh was honored with the Doctor of Divinity from Lafayette College in 1853. He was married twice. He and his first wife, Ann Hunter Jacobs of Lancaster, were married February 14, 1833 but she died shortly thereafter on October 16, 1836, likely a result of childbirth. The second wife, Jane McClelland Grubb of Mercersburg, was married November 29, 1837, and she survived him along with two sons and one daughter. Pastor Creigh was not a writer but he did publish a few items. A Sermon, The Present Distress, Delivered April 5, 1840, Chambersburg: Printed by Pritts & Catlin, ; Counsels of a Pastor to the Members of his Church, Chambersburg: Printed at the Office of the Weekly Messenger, 1843; History of the Presbyterian Church in Mercersburg, Penna., Mercersburg: Andrew W. Spangler, 1846, then in 1870 he provided further information in History of the Presbyterian Church of Upper West Conococheague now Mercersburg, Franklin County, Penna, Chambersburg: Repository Printer, 1877; Creigh was a contributor to Dedicatory Services of the Robert Kennedy Memorial Presbyterian Church of Welsh Run, Pennsylvania; September 30th, 1871, Philadelphia: Henry B. Ashmead, 1871; A Sermon Preached on the Fortieth Anniversary of his Pastorate in the Presbyterian Church, Mercersburg, Pa., Nov. 5, 1871, Chambersburg: M. A. Foltz, 1871. Dickinson College in Carlisle, Pennsylvania, has a collection of Creigh papers, 1824-1872. The Upper West Conococheague Church and Mercersburg Presbyterian Church are two names for the same church. The Centennial Memorial of the Presbytery of Carlisle, vol. 2, Biographical, Harrisburg, 1889. 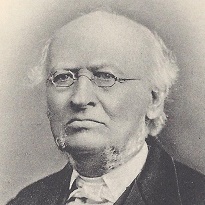 The statistic regarding the number of ministers serving the Mercersburg Church is from Nevin’s Men of Mark of the Cumberland Valley; the Princeton Seminary Necrological Reports; Biographical Sketch of Rev. Thomas Creigh, D.D., Read before the Presbytery of Carlisle, Chambersburg: Franklin Repository Printer, 1881; publication of the proceedings in his funeral, In Memoriam, Rev. Thomas Creigh, D.D. Born, September 9, 1808, Died April 21, 1880; it was not used for this biography on Presbyterians of the Past but another title is, 1831-1931: 100th Anniversary of Ordination and Installation of Rev. Thomas Creigh, D.D. over Mercersburg Presbyterian Church; An Appreciation, by James G. Rose, .